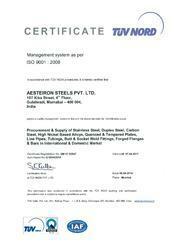 Established and started its operations in the year 2007, we, Aesteiron Steels Private Limited, are considered to be one of the leading manufacturers, exporter, trader and suppliers of a wide range of Round Bar & Steel Plate. Inclusive of Alloy Steel Tubes, Alloy Steel Pipes and Metal Bars, we offered a wide products. The stainless steel that is best in the market is sourced from trusted venders as per the industry laid norms and regulations. Owing to their resistance against corrosion, fine finish, robust construction, high tensile strength and thermal stability, these stainless steel pipes and tubes are highly appreciated among our clients. Chemical, food processing and pharmaceutical industry are some of the sectors where the offered pipes and pipes are highly demanded. In compliance with the specifications provided by the clients, the offered stainless steel pipes and tubes can be customized.We are exporting our quality products in Europe, Africa, Gulf, Nepal and Bhutan etc. We have been backed and supported by a state-of-the-art infrastructure that is well-equipped with latest machinery and equipment required for carrying out standardized operation. Known for its large production capacity, our infrastructure is divided into different units such as manufacturing, warehousing, in-house quality testing and sales & marketing unit. Ms. Kalpita Jain is our export sale manager and he has helped us in meeting the specific requirement of our clients by following innovative business polices. With his excellent management skills, he has helped us in attaining a huge clientele across the nation. Spread over a wide area of land, our infrastructure is known for its large scale and streamlined manner. Our infrastructure is carefully divided into different units, to ensure that all the on-going processes are carried out in the smooth manner. We have appointed a team of skilled professionals, to manage different units of our infrastructure. We believe our team of skilled and hard working professiaonls is driving force behind our remarkable success in this domain. Utilizing the skills and experience of our professionals, we have been able to attain the trust of our valuable clients. 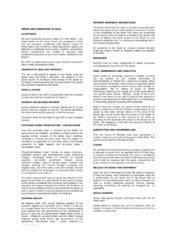 We believe in making and maintaining a long-term association with some of the trusted vendors of the industry. Quality assured range of stainless steel tubes and pipes are delivered within the assured time frame, in a zest to attain maximum customer approval.